The University of Essex Research Park, rebranded recently as the The Knowledge Gateway, is a new science and research park within the campus setting of the University of Essex, just outside Colchester. 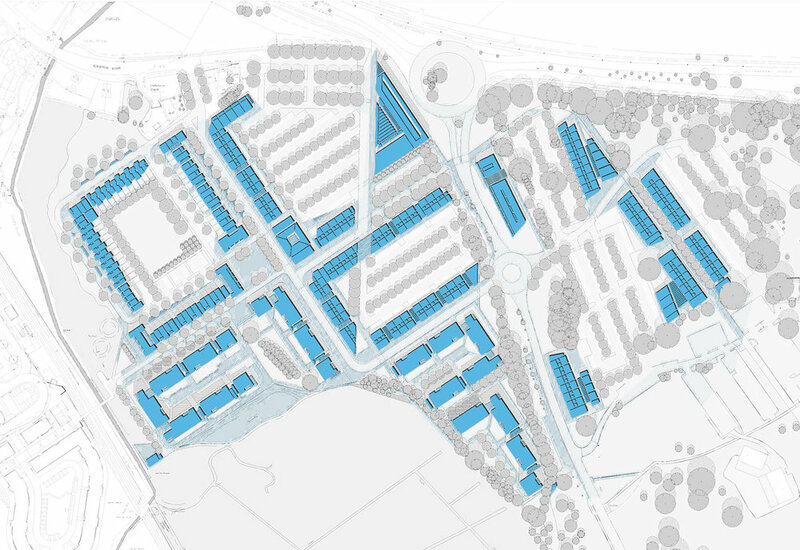 The masterplan addresses the University’s plan to support the economic and social regeneration of the area by attracting occupiers who will reinforce current research programmes and raise the local skill base. The scheme has been designed to maximise visibility and accessibility from the A133, and to allow for strong connectivity with the university campus, a proposed railway station and residential development nearby. It will contain a mixture of uses including an innovation centre, retail, hotel and social facilities. Extensive computer modelling was carried out to assess and mitigate flood risks within the Colne valley.